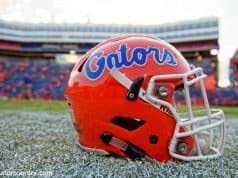 The Gators are still in the hunt for some tremendous 2019 recruits and with September coming to a close I thought it was time for a little bit of a recruiting update. Here is what I’ve been seeing. First, Scottie Lewis, the biggest name target on Florida’s board who announced at the end of last week that he was down to Florida and Kentucky. In his own words: “So that’s pretty much it. SEC.” Many thought Florida was a slam dunk for Lewis after his visit but perception shifted drastically after Lewis took his visit to Kentucky. The fact that he didn’t make an announcement shortly after his trip to Lexington makes me think the Gators are still heavily in the mix and this recruiting battle could go down right to the wire. He had some positive words about the Gators after Mike White and Darris Nichols travelled to his high school in New Jersey a few days after his Kentucky visit. We might not know exactly when Lewis and his family will be making the decision but what we do know is that it’s going to be special when it happens. 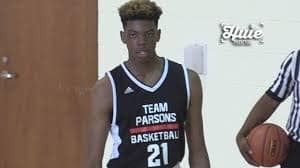 Omar Payne is another player the Gators have been going after strong and he is on an official visit to LSU this weekend. LSU is considered to be right there with Florida and Florida State in the battle for his services and though I think the in-state schools might have an edge, Will Wade has been making things happen at LSU as of late and could definitely find a way to haul him in. Payne started school at Montverde this fall and with that giving the Gators a geographic advantage the longer this recruitment goes, the more the “hometown” Gators may have the advantage. Ah, CJ Walker. 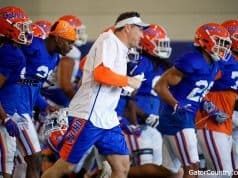 This has been one of the most interesting recruitments I think Florida has been involved with in the Mike White era and it’s all because of Walker’s willingness to talk openly about what he’s feeling and what’s on his mind. So many players play things close to the vest, but Walker wears his heart on his sleeve. He definitely didn’t hide his emotions after an official visit to Oregon. Well, that doesn’t seem particularly great for the Gators. Walker also indicated he was thinking of making a decision in November which at least gives a rough deadline for the Gators to make a final push. The Gators’ entire coaching staff went to take an in-home visit with Walker a few weeks ago, with the proximity of Walker’s home in Florida to Gainesville giving the Gators the chance to put on the full court press. Deciding to add another element of intrigue to his recruitment, yesterday saw Walker sending out a tweet that said “The school I’ll sign to will be a school where I’m needed not wanted.” From a Gators standpoint…that again doesn’t look good. At least, I don’t think so. 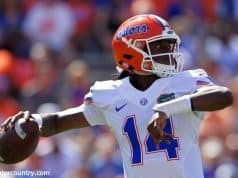 The Gators graduate some great players this year but their roster will be far from depleted as tons of talent will remain. That isn’t to say Walker wouldn’t get minutes or anything like that, but I think Oregon and Miami, and even LSU are teams in his final five schools that “need” him more than Florida. Perhaps I’m reading too much into that, but you can draw whatever conclusions from it that you want to. He was originally going to take an official visit to Florida the weekend of October 6 but had to reschedule to the 12-14 due to SAT testing. Perhaps we’ll know more after that weekend. Some other minor news. The Gators made the top-12 (yes, twelve schools) for Tyrell “Turbo” Jones, a 2019 point guard who I’m actually a big fan of. His nickname says everything you need to know about him as he is a relentless competitor who plays the game FAST. I don’t think we’ll be looking to land another point guard in this class but if he, for whatever reason, decides to hold off on his decision until the spring and the Gators end up having another scholarship open he could be a fantastic get. The Gators have been working on some elite 2020 kids too as PJ Hall, Brandon Boston, Isaiah Cottrell, and Julian Strawther have all gotten attention from the coaching staff. Those are all high 4-star and high 5-star guys and those are some names to pay attention to moving forward. The biggest thing to watch for next? Probably a Scottie Lewis decision. I’m not entirely sure he’ll be the first to decide but if I had to guess, it would be him.